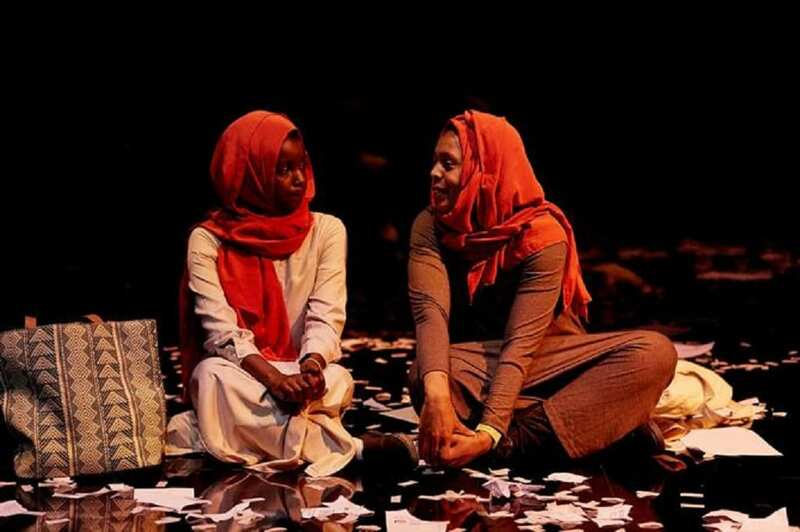 The Making Mischief Festival is, for the RSC, supposed to be about responding to “the challenge with daring explorations of language, race, gender and life in Britain today” or what is un-sayable these days. In other words, I take it, to challenge political correctness and explore sensitive issues! Two of the new Making Mischief plays are being performed throughout August in tandem with the same, admirable and highly committed company of actors: Always Orange and Fall of the Kingdom, Rise of the Foot Soldier. 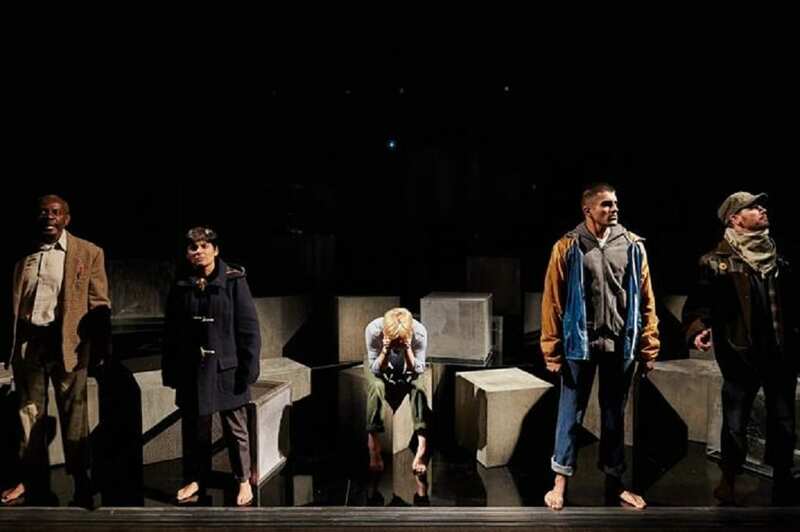 I thought both plays were worthwhile, thought provoking enough yet not ones you would want to revisit having seen them once – sort of like worthy plays on TV that are not a waste of time. They are both very imaginatively staged, very well acted by the ensemble, and quite short – about an hour long each. The first play I saw, Always Orange, centres on a terrorist atrocity that involves blowing up a glass building in a city that is clearly meant to be London. 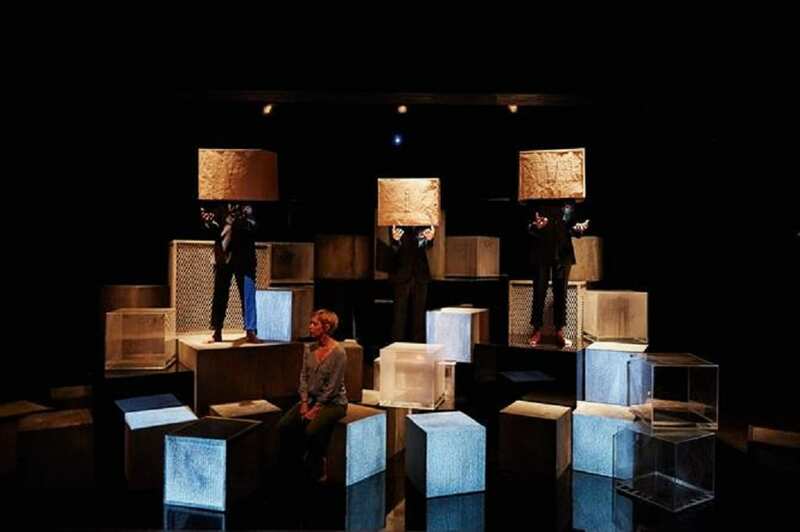 The references to the demeaning of language, the destruction of what Yeats called monuments to unaging intellect in our literature and to the growth of the mentality of disaffected terrorism are clear; but the play struck me as more of a polemic than a drama and a bit tedious despite the undoubted skills of the ensemble and director Donnacadh O’Briain. 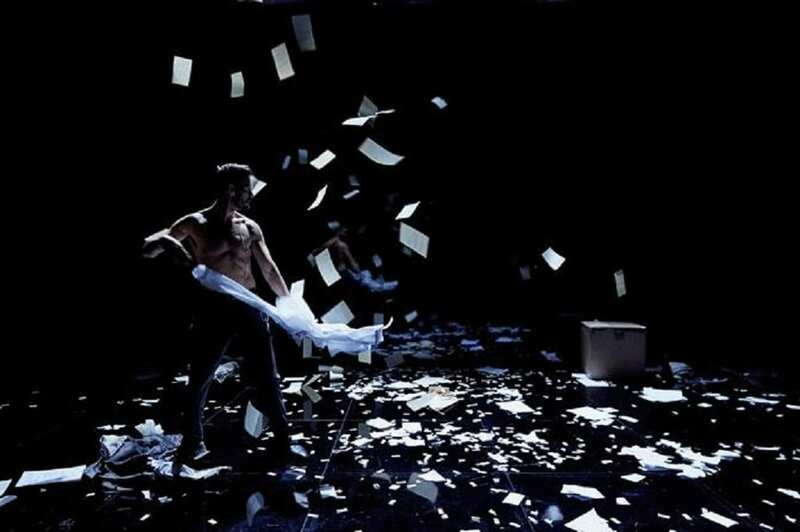 Some of the staging was particularly striking – the silence that was the moment of the bomb going off, the paper falling from the ceiling representing the debris and also the destruction of the books. 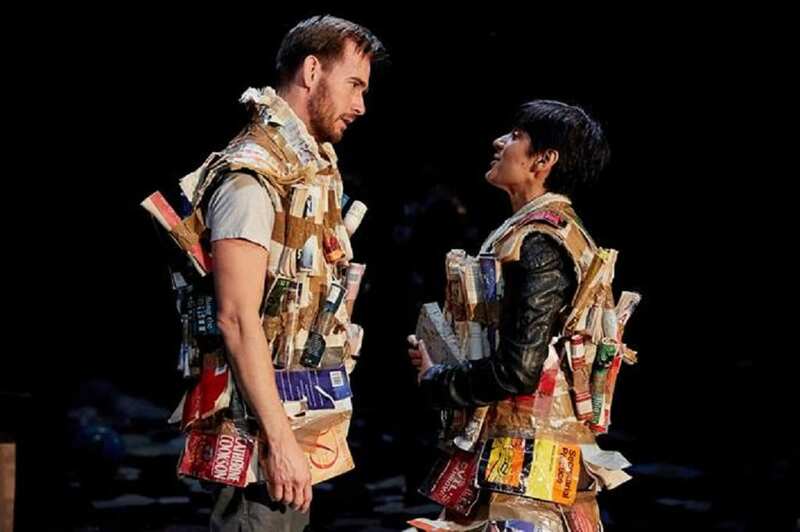 However, for me the second play, Fall of the Kingdom, Rise of the Foot Soldier, worked better as a drama and I found the staging by director Nadia Latif and the design by Madelaine Grling especially striking, including the cardboard boxes that were the masks for the chorus. The staging was very strong and I didn’t mind the appearance of an indeterminate chorus speaking what, again, was pretty purely polemical, because I was quite engaged by the characters of the actual story, all of them. This was the tale of a white teacher in a difficult secondary school, her commitment, her liberalism and the testing of that liberalism. Donna Banya as Aisha, the troubled student who gets into and causes the trouble at the centre of the tale, was outstanding and passionate; as were Laura Howard as the teacher, Hawkins, Ifan Meredith as her boyfriend, Archie, and Syreeta Kumar as her best friend, Shabz. In fact, with some tinkering, I think that this could be a full length play. I would have liked to know more about the relationship with Archie, more about the back stories. 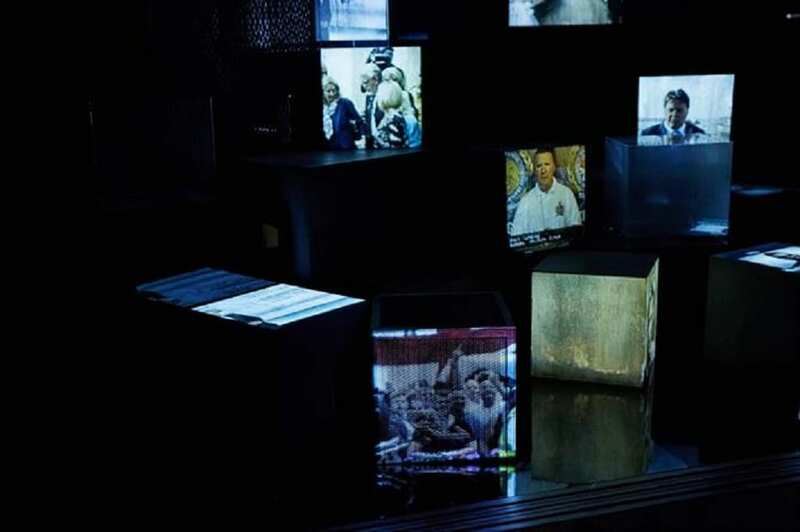 The characters worked as believable and confused people, for me, and in the drama they were addressing each other and dramatizing a real and complex debate with enough ambiguity to be troubling and interesting and not simply addressing the audience. You can see these plays together or separately. They are in the RSC’s newly revived Other Place. I sat at the back for one of the plays and thought the acoustic of the new box needs some work; but the space is definitely serviceable and the foyer is comfortable. The coffee was not bad. The RSC has cleverly converted the building that housed their work during the reconstruction of the main house. There are new rehearsal rooms, storage spaces and rooms for conferences or educational work. The new studio theatre seats about 200 and is clearly a good space for experiments and for new work. I saw the two new plays back to back and despite my quibbles it was a satisfying way to spend an evening in the theatre and bodes well for future new work at the RSC.